A Reuters article, dated 11/16/16 is speculating that J.Crew is considering a spin-off of their successful Madewell division, in a likely attempt to raise cash. According to the 3rd quarter 2016 results, J.Crew stores had a 7% sales decline and including Madewell, had roughly $1.5 billion in debt and just $38 million in cash. This is not a healthy place to be. 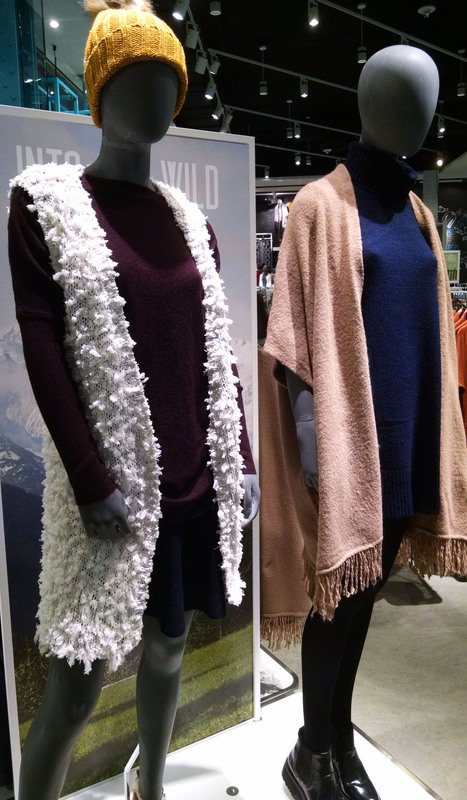 What happened to one of the best specialty retailers in America? It’s easy to blame mall traffic, but those shoppers are shopping elsewhere and online. By the way, J.Crew has had an exceptional e-commerce site for many years. They got caught in a maelstrom of changing trends and self-inflicted wounds. Millennial shoppers are the most strapped generation in decades. This largest demographic in the history of the US, is now 16-33. They are the most diverse American generation ever, with a wide range of tastes. Their shallow pockets have given rise to fast-fashion, consignment, rental and vintage apparel sales. I don’t think they aren’t interested in fashion, but clothing is discretionary after rent, school debt, healthcare, transportation and food costs. J. Crew had been dogged by inconsistent quality and styling. J.Crew seemed to target this growing base with lower quality materials in an attempt to decrease or hold prices. They also dabbled in trendier silhouettes, adding to the brand confusion. In the classic business you walk a fine line, to offer the expected, with a touch of newness to excite the customer. Seemingly, in an attempt to be all things to all customers, they alienated fans that saw them as the quality, hip “American” lifestyle brand in the mall. They should have embraced their monopoly as a reliable, premium brand and let the rest of the generic tenants duke it out. 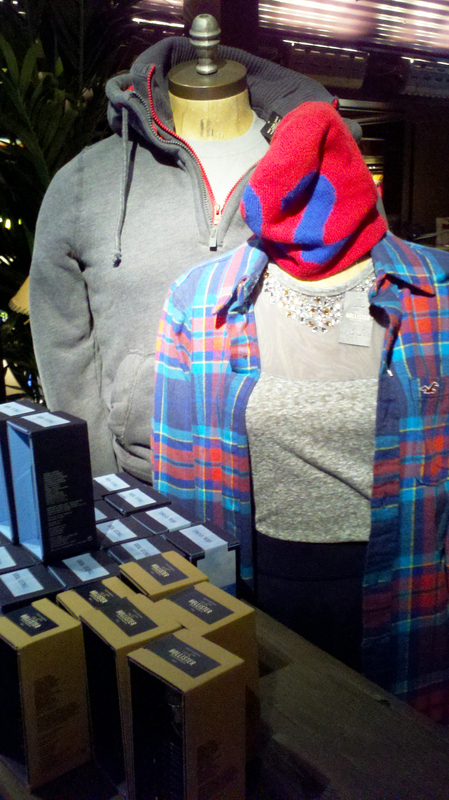 J.Crew had what they thought was a winning formula, cotton/spandex Capri pants, cashmere sweaters and cotton tees. They rested on formulaic laurels while customers were discovering more comfortable, durable and flattering fabrics in athletic apparel from the likes of Lululemon and many others. The rapid adoption of athleisure was lost on J.Crew. They didn’t see that customers were embracing a new casual. They should have evolved some of their assortment to address the exodus, in new fabrications or styling with a J.Crew spin. They just launched, in fall 2016, a “brand-right” athletic apparel collaboration with New Balance, maybe too little, too late. 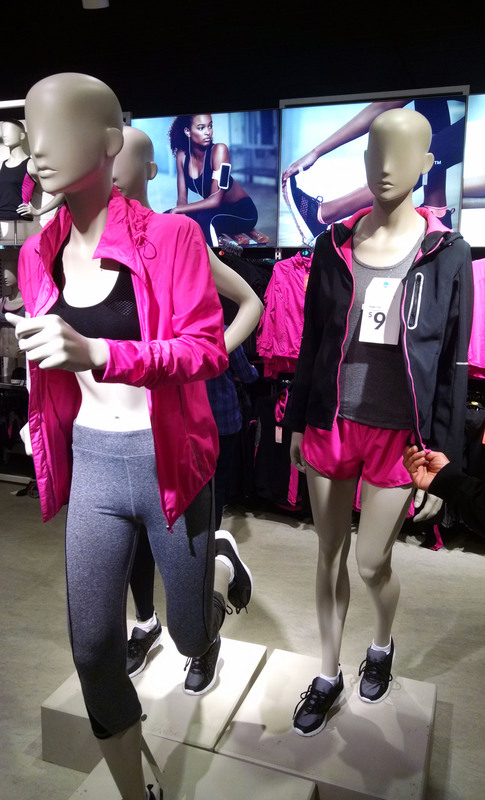 The athletic apparel market has much less elbow room at this point. There are new kids on the block. At one time, J.Crew was the epitome of the modern prepster. 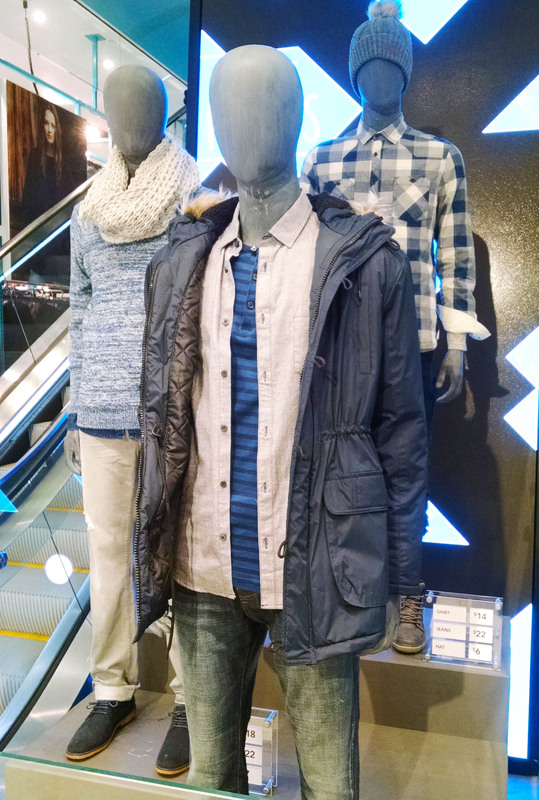 They blended an urbane twist with classic American looks, to define an eclectic, cool state of prep. This wearable market position had a wide audience with fashion and traditional customers. This late summer 2016 product is what they are known for, classic with a twist. In recent years, they veered off course with poor quality or trendy items, overly eclectic pairings and strange colors, a road too far for their loyal customer. As J.Crew confused its customer, they created a vacuum for other rapidly growing, consistent brands to fill. Kate Spade has taken away legions of suburban and urban women of all ages with their whimsical, colorful vibe. Vineyard Vines offers the traditional country club and aspiring wanna-bees, preppy classics, that really resonate with Millennials. J. McLaughlin attracts the hard-core suburban prepster with uber-traditional, quality clothes. 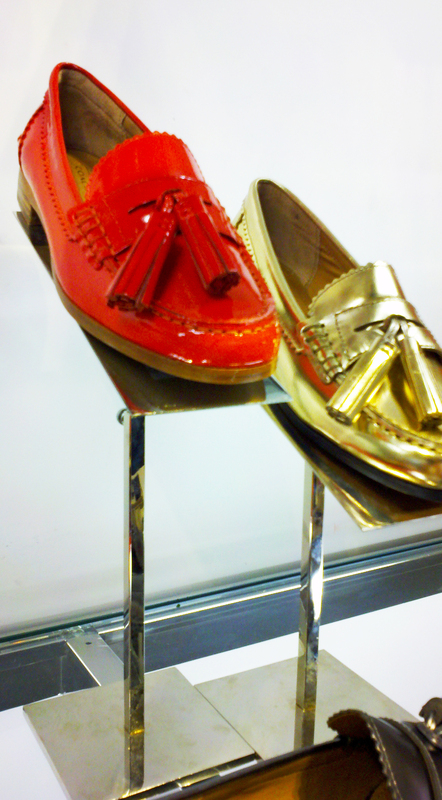 Tory Burch skims off the East Side, preppy customer. Club Monaco speaks to the contemporary, classic customer. These five brands are growing and nibbling at J.Crew’s forgotten following. The pie is only so big and their slice is getting smaller. There continues to be significant markdowns across categories. The stores need a facelift. 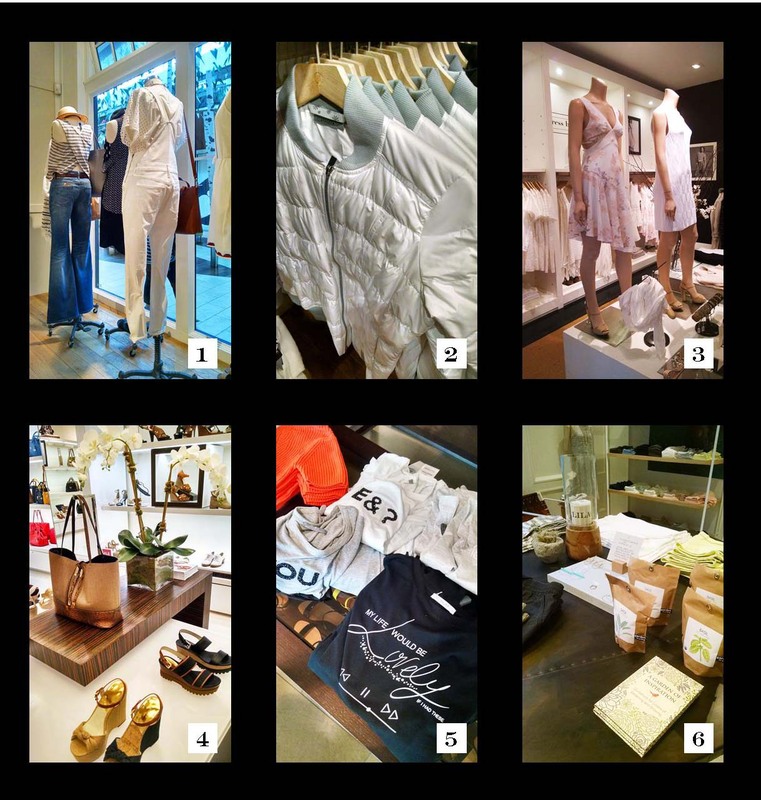 The above brands have bright, organized new store formats. J.Crew’s shops are cluttered, chaotic and dark and the wood paneling feels very Brooks Brother’s 1992. They don’t highlight their best categories in a focused, shoppable layout. The brand experience needs a serious intervention, a difficult task, with mountains of debt. None of these opinions are probably news to J.Crew. This is a formidable company with tremendous talent. Maybe they became too insular or content? This product is a bright spot in the Fall 2016 assortment. Amidst the clutter this fall, I’ve seen glimpses of the best of J.Crew. Time will tell, if it’s enough to save them from a painful bankruptcy. It’s not looking good based on 3rd quarter results. Most retailers never achieve the iconic consumer and fashion industry respect of J.Crew. I’m rooting for them to turn this ship around. 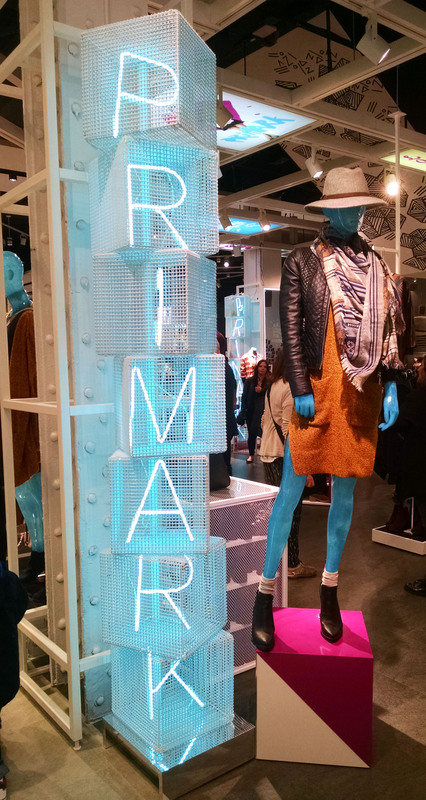 Primark, the UK-based discount retailer opened their first US store in Boston this month. The low-cost, low margin, fast fashion retailer, is located in the 70,000 square foot, historic Filene’s department store building in Boston’s Downtown Crossing section. They have plans to open 10 more locations on the East Coast by Easter 2016. I visited the store on Saturday the 26th and found it mobbed with urban shoppers. The location is a tour-de-force for a company that targets 18-35 year old, cash-strapped Millennial demographic. The Washington Street site, of recent decades has been a decaying, retail wasteland. Surrounded by the Financial, entertainment districts and Chinatown. It is far from other residential neighborhoods, but directly across from the highly central Park Street subway stop. The daytime walkable population swells dramatically, from the Financial District and other nearby employers. 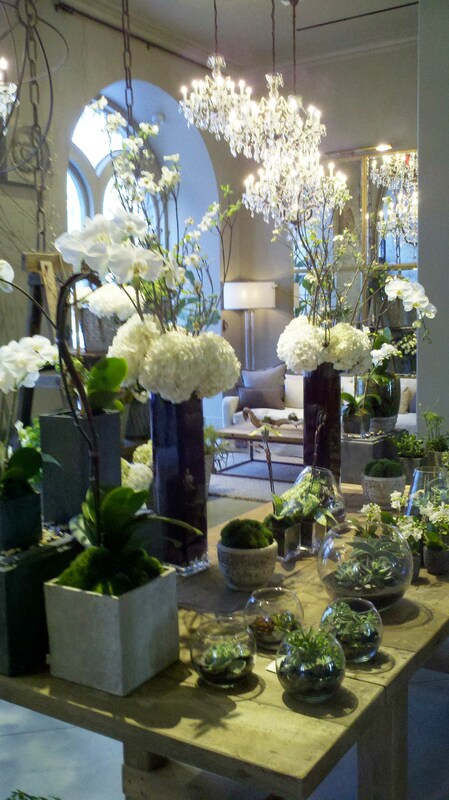 Boston is home to three major upscale shopping areas, Copley Place, Newbury and Charles Streets. Many of the world’s best retailers open test stores here, because of the many universities, large population of wealthy international students and tourists, as well as a cosmopolitan, well-heeled population. The mass customer has been grossly underserved in Boston proper, so Primark, H+M and Macy’s in Downtown Crossing offer a strong trifecta for budget-conscious customers. I’m blown away by Primark’s well-merchandised assortment, attractive floor sets, and incredibly low prices, e.g. cotton tees for five dollars, jackets for thirty-five, seven dollar jeans, trendy shoes for ten…The assortment is compelling with strong key item basics and on-trend pieces like Bohemian, seventies-inspired items. It is wearable and stylish, including men’s,women’s, children’s and home. The offer is more “adult”, less “teenage” than Forever 21 and Old Navy, less contemporary than Zara and less trendy than H+M. They also have a particularly strong intimate apparel department, which could eventually take a bite out of Victoria’s Secret. I couldn’t help thinking, why a frugal customer would scour discounters like TJX, when they can find such depth of selection at Primark? Sometimes foreign-based retailer’s brand aesthetic doesn’t fit with American styling, color and taste levels. (I think this will hamper Uniglo’s future US expansion.) Primark’s Dublin-designed products feel comfortably appropriate in the US market. Primark is another game changing player in the seismic shift of the Teutonic plates under US retail. The Millennial customer’s high debt levels, surging rent, transportation, entertainment expenses and the cost of staying connected, have had a deflationary effect on apparel pricing. To a great extent this customer is brand agnostic and sees apparel as a commodity. Fast-fashion, discount stores, consignment and apparel rental retailers, have been the beneficiaries of this mega-trend. Men’s clothing is wearable and compelling. Abercrombie and Fitch has negotiated a new contact with long-time CEO Michael Jefferies after an activist investor had called for his replacement. After years of lagging return on investment the controversial CEO has lived to see another day. Jefferies is among a small cadre of visionary retail executives and a known micro-manager. He remade a tiny travel and sporting goods retailer in the ’80’s into a teen retail powerhouse. It has been a rocky road laced with discrimination lawsuits and boycotts over policies and racy marketing. When a customer choses to shop a specialty store they already relate to the brand on some level. Most customers visiting an Abercrombie & Fitch, Hollister or Gilly Hicks store aren’t discovering the store for the first time. They already identify with the upscale, American, traditional style, with a big dose of teenage sexual tension. Things have changed in teen retail since the boom times post-Recession. The last few years have seen the explosion of fast fashion emporiums of Forever 21, H&M and Zara. Forever 21 operates very large stores that carry complete looks… apparel, accessories and shoes merchandised throughout the store. A budget conscious Millennial can walk out with an armload of cheap chic clothing and accessories for $50. They serve up a huge range of fashion and uber-edgy looks in less than stellar quality, but most of their customers don’t care. They sell them in women’s, Love 21 sizes which area a bit bigger and plus sizes as well. No girl leaves Forever 21 without finding something that fits. 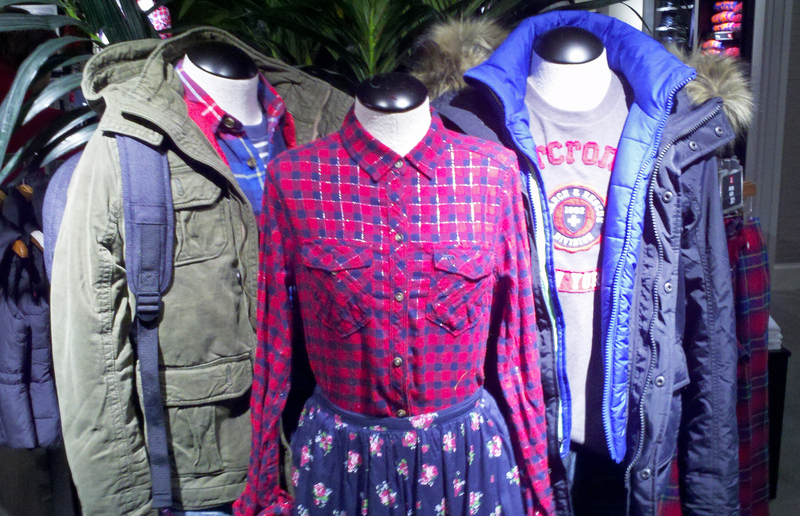 Abercrombie is stuck in the flip phone era of teen fashion. It is not the appeal of their clubby stores. It was their original calculation not to promote during the height of the Recession and their unwillingness to face the reality that today kids are bigger, than their cultural vision of a preppy, blonde waif. The narrow-minded intention to cut everything close to the bone has cost them significant sales. What store today can afford to lose a motivated customer segment over 1-2”? I can personally attest to this. My 13-year-old niece (who proclaims Gilly Hicks her favorite store) has been slightly bigger than the Gilly Hicks size large since she was 11 1/2. She relates to their clean, lounge lifestyle and sporty looks. Unfortunately, 90% of what she tries on doesn’t fit because they don’t carry an extra-large. She can only buy their most oversized pieces. We usually walk out empty-handed, in spite of Gilly Hicks great promotional prices. Therefore, we end up at Forever 21. As an industry veteran I hate the quality, but we can always find something acceptable and reasonably tasteful in their giant assortment. My niece always leaves Forever 21 feeling good about herself. If Jefferies wants to make his bonus performance targets in his last act (He’s 69) He is going to have to see the teen market as it is today. It’s not 2007. 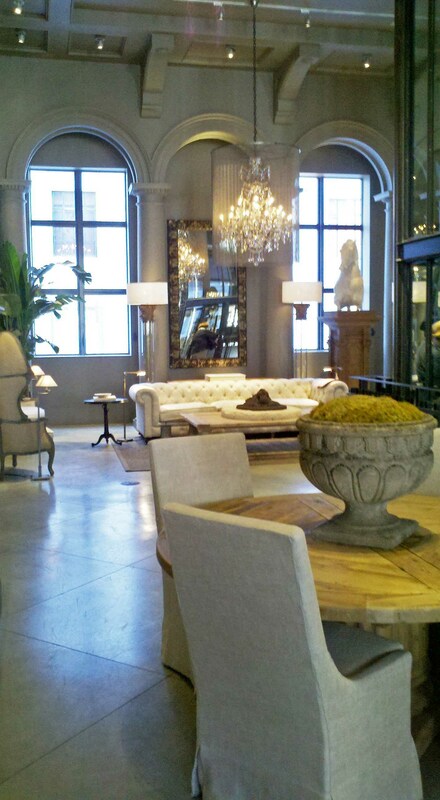 RH’s Boston store is a branding tour-de-force. Expect to be awestruck, breathless, converted to a quiet, monastic, simple life. The Restoration Hardware (now called RH ) has completed their renovation of one of Boston’s most iconic Back Bay buildings into one of the most moving retail brand experiences I ever had. In my career as a trend watcher, I have been in countless thousands of them, but haven’t been this moved by a retail experience since the first time I stepped into the Food Halls at Harrod’s. RH has recently completed their renovation of the former retail location of the venerable Louis of Boston, at the corner of Berkeley and Newbury Streets in Boston. The grand, free-standing building was built in 1864 for The New England Museum of Natural History. (which later became the Museum of Science and moved to The Charles River). It was vacant for several years when Louis moved to the South Boston waterfront. I wondered what retail tenant could do justice to this uniquely beautiful property. Ralph Lauren topped my short list for companies with the capital and vision to pull it off. RH was not on my list. The floral area on the first floor. The store is a triumph. It is the essence of modern, traditional home furnishings… spare, classic, oversized and dressed with buttery leathers and neutral linen. It is masculine and quiet, but emotionally rich on every level. It is palatial and clubby. RH has hit exactly the right note blending contemporary touches like the commanding glass elevator and slick concrete stairwell, while paying homage to the sheer beauty of the original architecture of this edifice. It is a textural, neutral symphony, with a hip background track. It is like experiencing their products through vintage sepia photos. This tour-de-force brand experience is not to be missed. Expect to be converted to an RH disciple. It may have you shopping for a larger home to fit their enormous furnishings. 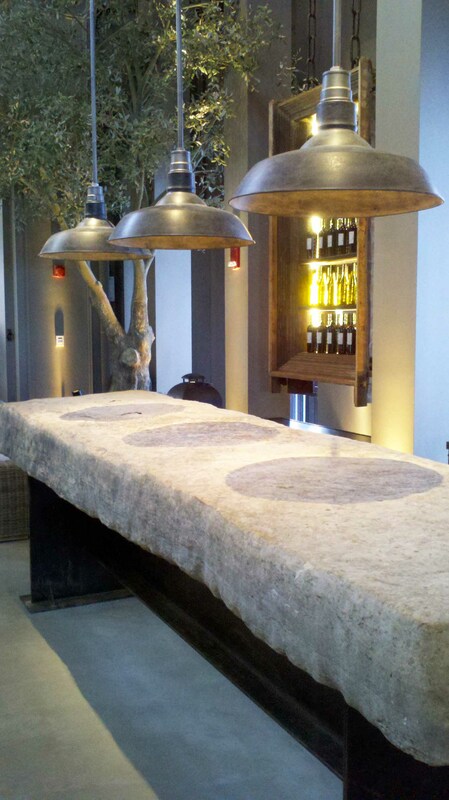 This commanding stone bar is for in-store events. Unsurprisingly, Ron Johnson, the former Apple retail executive, has finally been dumped by the J.C. Penney board after 17 disastrous months, as CEO at the mid-tier department store. He took the Texas-based company from a profit in 2011 to a staggering loss in 2012. William Ackman the activist hedge fund manager (who owns an 18% stake in the ailing JCP), pushed for Ron Johnson to take over the plodding retail behemoth and got his wish to huge fanfare. He touted Johnson, because of his success at Apple and stint at Target as the divine solution to turnaround JCP. No one doubted the need for an overhaul and Johnson provided a compelling sales pitch of a reimagined JCP. Johnson was given free rein to continue living in California and play chess with the lives of thousands of employees, vendors and shareholders while disappointing loyal customers. He laid off thousands, stopped sales promotions and created slick Target-esque marketing before changing lack-luster product lines. This was a classic case of big-city-smarty-pants going to show those country bumpkins, how to run a better company. Johnson’s attitude was arrogance unchained and a sense of self-infallibility. This is a perfect case study in “Hubris Maximus” for the B-schools. Ackman imparted and granted supernatural powers on a big coastal ego that had no clue how to create and sell apparel and home products. Let face it, anyone can be a genius (pardon the pun he invented the “Genius Bar” in Apple stores) when you are selling the world’s most coveted products. Apple products will sell out of a shack, peddled on the street or at any ordinary retailer. He didn’t create the magic of Apple, he ran their stores. 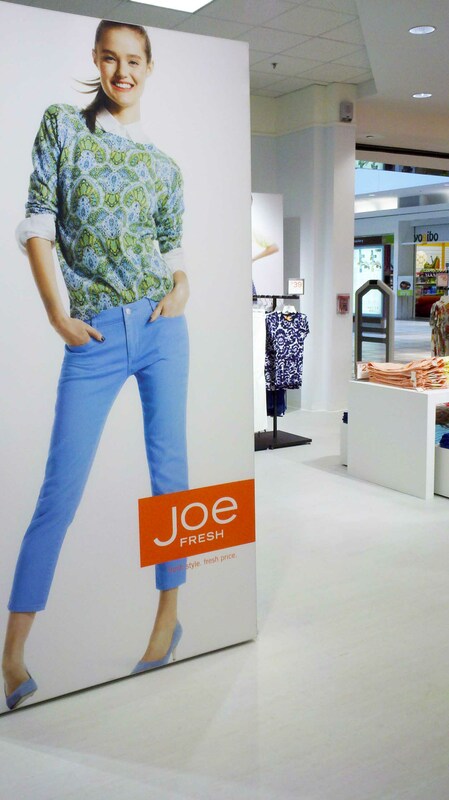 A JCP turnaround requires more than making physically appealing stores (he succeeded with better visual merchandising); it is a product issue, reinvention of many private label brands and establishing meaningful creative partnerships that would inspire existing customers and attract new ones. 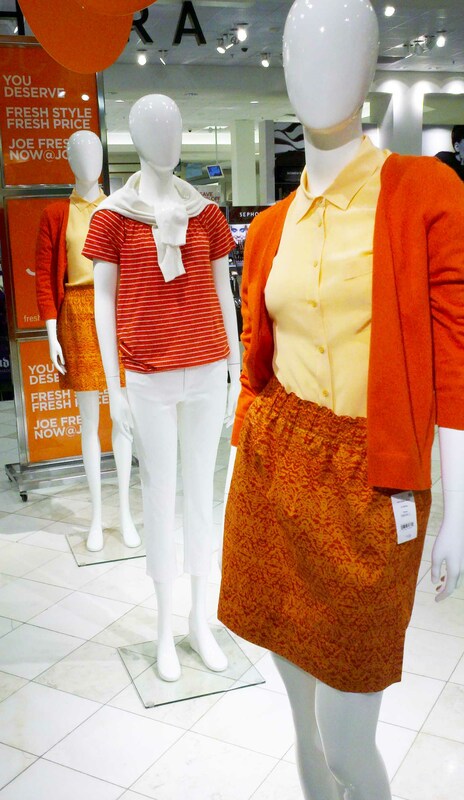 There are a few bright lights, but for the most part the new products, like the revamped Liz Claiborne department, is nothing more than make-up on a very big corpse. William Ackman isn’t the only guy to hire someone who breathes his same rarefied air. So many companies, only want to hire from their social circles, élite schools or MBA’s without regard to their actual credentials and cultural sensitivities to get the job done. They like smelling their own and like-minded perfume. Better visual merchandising didn’t substitute for the traffic driven by promotions. The key to the JCP turnaround was respecting the desires of their loyal customers, a willingness to listen and learn before you shoot, testing before your roll out, building meaningful brands and inspiring and empowering your employees. Success was never going to happen with the blind ego of a mere mortal. Ackman made a fool’s bet and lost his shirt. On the short-list of first-class American fashion brands, Coach certainly makes the top ten. The nature of market leaders is their willingness to take chances. No one becomes an Olympic skater holding the rail. Coach fourth quarter 2012 North American sales were down 2% over last year, which sent the stock tumbling this week, in spite of increased international sales. North America accounts for two-thirds of the company’s business. I have great respect for the aspirational luxury bag and accessory seller. They have turned a 72-year-old leathery dowager into a fashion powerhouse with their risk taking market leadership. There are far too many lackluster brands, that stand for nothing. I give them credit for ground breaking newness and willingness to take bold moves. As an avid Coach watcher, the answer for the poor results is obvious. For many successful years, they addicted their logo-adoring masses to fresh shapes and colors of their iconic fabric “C” patterns. These signature looks fulfilled the fantasies of mainstream wanna-be social climbers. Unfortunately, the patterned bags have become, all too common on the arms of every stroller pusher and tweeny bopper in the mall. They saw this coming. In second half of 2012, they took a radical step and introduced the Legacy collection. 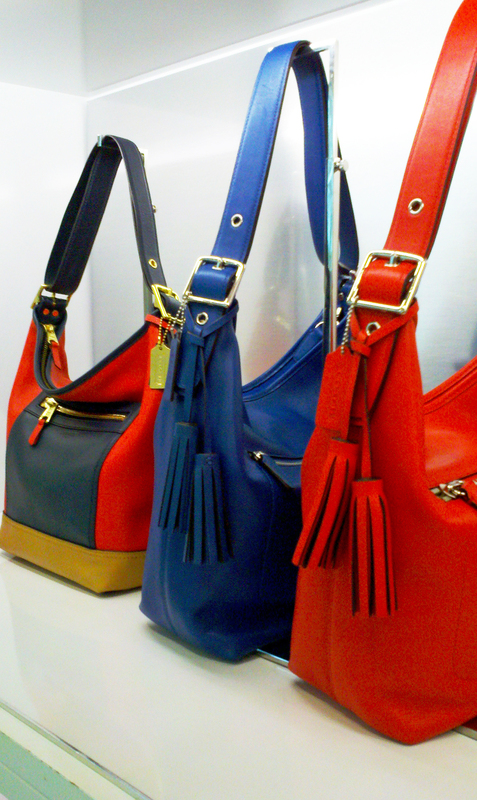 I never warmed up to this collection of vintage leather Coach styles in bold colors. They bet the ranch on Legacy and it dominated the second half assortment. I awaited its pending arrival and wanted to love it. Somehow, it didn’t feel modern, and the traditional leathers seemed a bit dowdy in a digital world. Perhaps it is the sea of wristlets and cross-body bags, aimed at an over-indulged teen? It doesn’t have the freshness of their more innovative styling. The only thing it had going for it was color. I give them an A+ for trying. This is the fashion business and leaders sometimes stumble. CEO, Lew Frankfort is blaming the lack of demand on “competition.” Some say Michael Kors is taking a bigger share. I think the iconic Kors bags with the MK charm, are getting a tad stale, too. Kors does a larger shoe collection and dominates in uber-hot fashion watches. 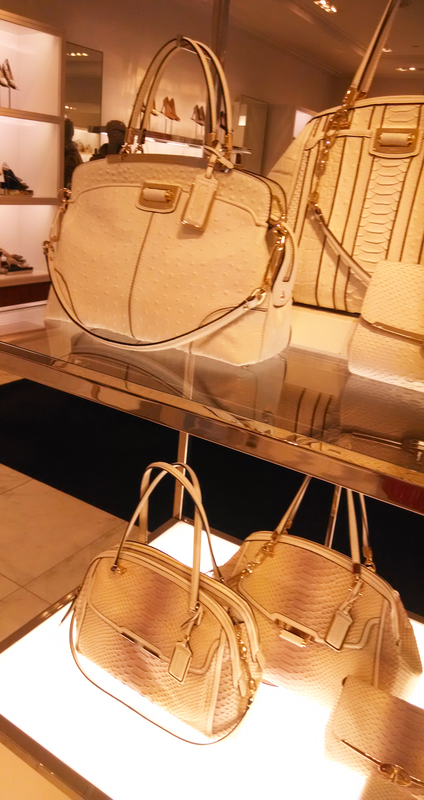 Kors stores have a consistent mix of accessories, apparel and shoes and isn’t reaching for an entry-level teen. 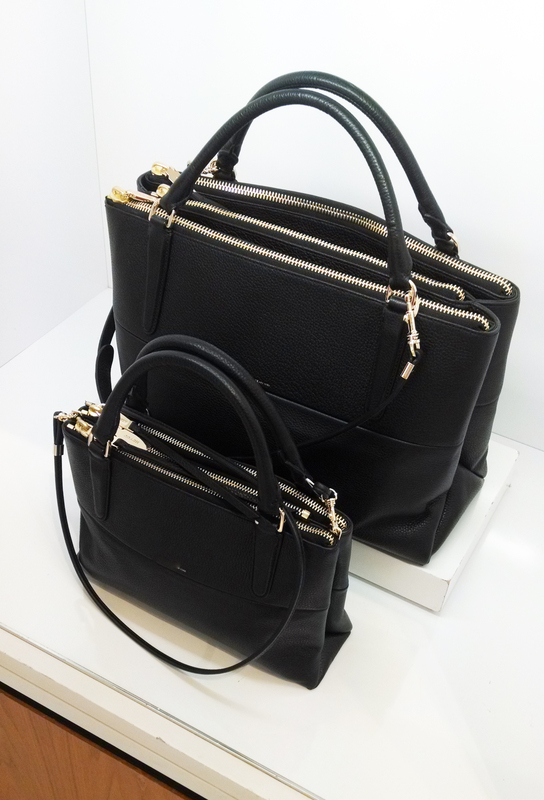 I think Marc Jacobs, Kate Spade, Tory Burch and others are sucking the aspirational luxury winds in bags.